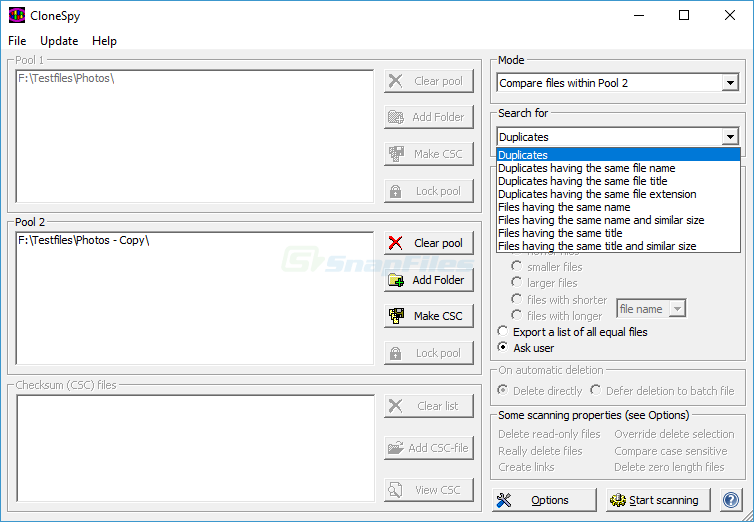 Auslogics Duplicate File Finder helps you find duplicate files that may be scattered all over your hard drive(s). The program can compare files based on size, date, content and name. You can select multiple folders (with... Offers to install promotional, third party software. Looking for more choices? There are 14 more downloads in our Duplicate Finders (Shareware) category.